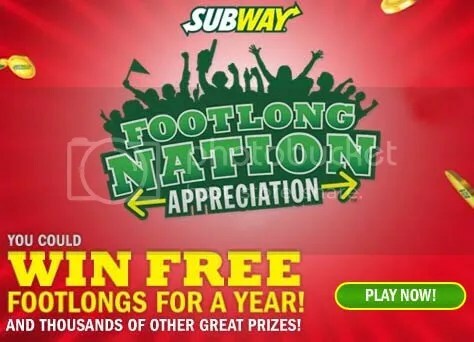 Play the Subway Footlong Nation Appreciation daily instant win sweepstakes for a chance to win a gift card. Play 3 times daily and try to win anywhere from a $5 gift card (5,000 prizes) to a $260 gift card (75 prizes). There are about 103 winners daily until this sweeps ends on April 15. You don’t have to buy anything to get a code, just click on the Official Rules and scroll down to (A) (vi) where each day there are 3 new codes that you can use each day. Thanks goes to Couponers United for sharing this new winnable sweepstakes with me! 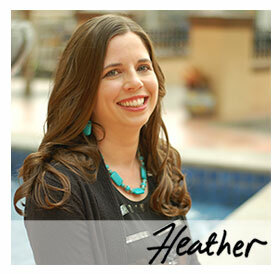 Don’t forget to visit Sweeps 4 Mom daily by clicking on the “Sweeps” button in the top menu! This sweepstakes and the other winnable sweeps I recommend are all in that list for quick access. And tell me what you win! I just won a $5 footlong!! "Subway….eat free!!!" Just before 6:00am I won a t-shirt today. First time win for this game..Yeah. Just before 6:00 am I won a t-shirt. First time win for this game. I think it has to do with the time I played it.. I just played 19 times and no winner. boo. When I click on Official Rules, nothing happens. Yay I won a $5 gift card on my 1st try! This is the 1st instant win game I have won! Thanks!! I won $5 card from subway…you can only win ONCES. Same here, no winners, played 9 times. I just won a $5 card!! For the codes, click on the official rules and scroll about 1/3 of the way down the page; it's one of the last parts under section A.Also, you can play three times for each code. i can't get any codes!!? Update I was trying to play in the wrong browser do not use goggle crome.IE worked fine. I have tried to register for the subway game and about 50 times it says I've entered the wrong captcha code so I can't play. is anyone else having the same problem.